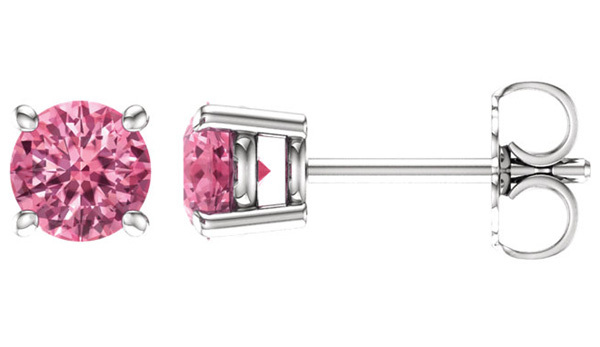 A 5mm cotton candy colored baby-pink topaz gemstone is paired with a sparkling 14K white gold to make a stunning fashion statement that looks great for everyday wear with these baby-pink topaz stud earrings from Apples of Gold Jewelry! The friction push back closure on these earrings are a great way to keep the stud earrings closed. These round cut gemstones are perfect for every day wear, and are a great gift for the special woman in your life! We guarantee our Baby Pink Topaz Gemstone Stud Earrings, 14K White Gold to be high quality, authentic jewelry, as described above.